Dr. Kasteler is a Board-Certified Dermatologist, an Associate Clinical Professor of Medicine (Dermatology) at University of Louisville and participates in the education of medical students, dermatology residents and residents in other specialties. Dr. Kasteler is married with five children. He enjoys time spent with his family and on a golf course. Dermatology is extremely rewarding as you have the opportunity to control or cure conditions that are often very distressing emotionally and serious physically. My experience in visiting Forefront was very satisfactory (as usual)...HOWEVER, the wart recently removed from the corner of my mouth is growing again BIG TIME ! Dr. Kasteler is the best. He actively listens and addresses all of my concerns. His office staff is very friendly and efficient. I have never been there even close to an hour. I am a patient of his Louisville office though ! Dr. Kasteler is very good and patient friendly. He is conserned about the cost of prescriptions and getting you better. The best Dermatologist I've ever experienced. Knowledgeable, kind, competent and charming. I recommend him, without hesitation, to all my family and friends. One note abou the office admin, clarify your appointment location the day before your appointment. When I showed up for my annual appointment as scheduled, the receptionist told me my appointment was at a different location! (Over the many years I’ve been his patient, I’ve never visited the other location.) Another patient came in behind me and was told the same thing. I had to reschedule my appointment resulting in a wasted morning. Great experience!! From when I walked in the door to the time I left, I was treated kindly and alaways with a smile. I have all three common skin cancers, and each of my visits to Dr. Kasteler's office have been reassuring. I know that none of the three will go undetected and treated. 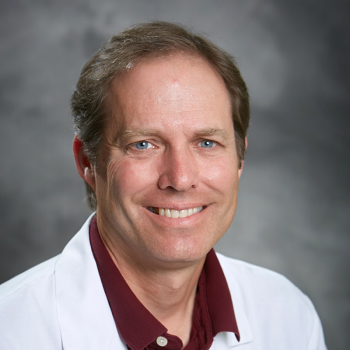 Dr. Kasteler has an excellent bedside manner is friendly and willing to explain everything. He is one of the best dermatologists I have been to. Expert in psoriasis! I've been a patient of Dr. Kasteler for over 15 years. Great chair side manner, appreciate his knowledge of treatment. Recommended him to my daughter and now she is a patient too. Dr. Kasteler is very nice. He will answer and explain to you if you have any concerns and questions.